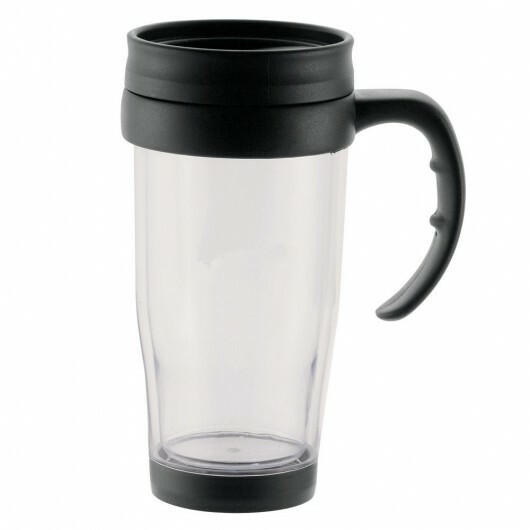 A great gift for anything auto related - everything comes presented in a travel mug. These car kits include a number of items that make your car experience more enjoyable and better. 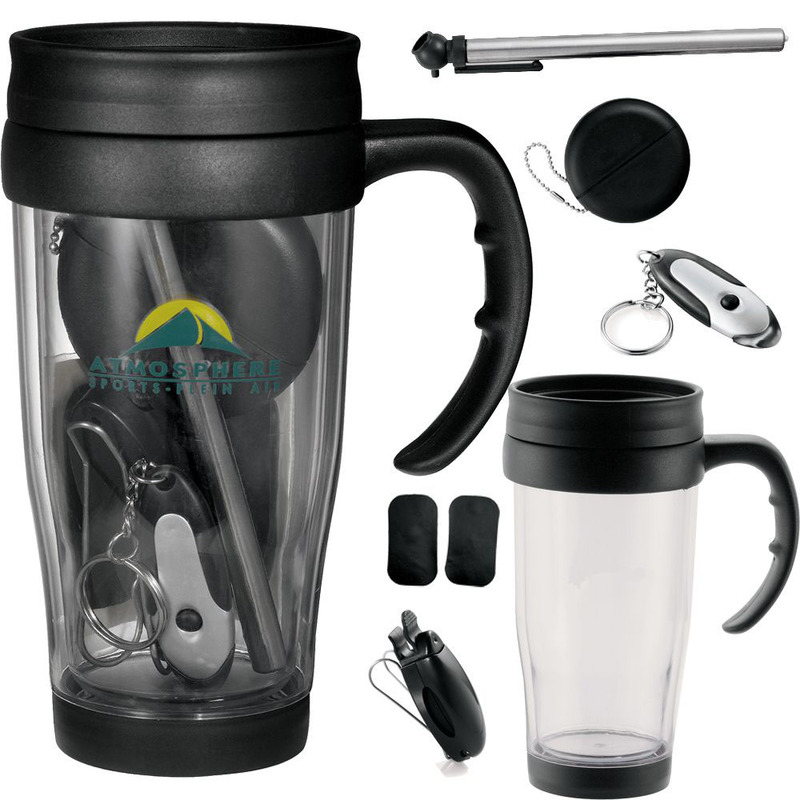 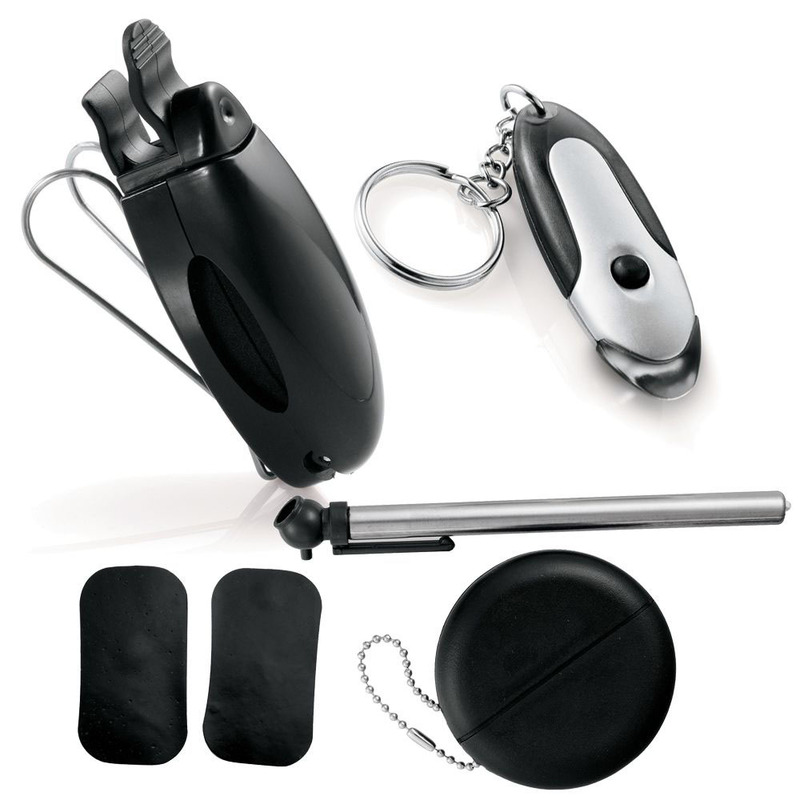 The 6 piece set includes a mug, coin holder, sunglass visor clip, key light (including battery), non-slip pad and tire gauge. 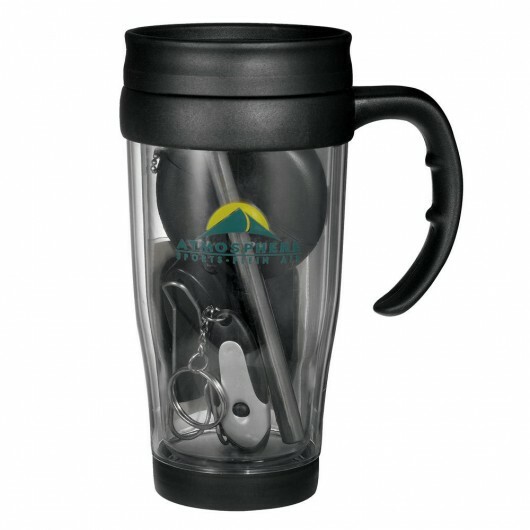 All of the items come supplied inside of the drink holder with a custom print of your logo on the front.